Storytime for preschoolers and their families. Enjoy an evening storytime with books, finger plays, and music. 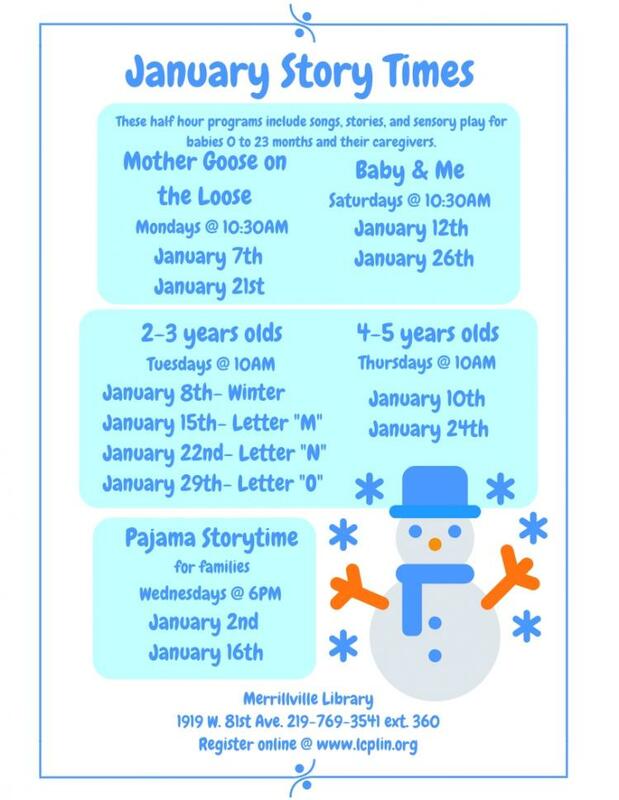 Feel free to wear pajamas to the Merrillville library! You must register to attend the program.